From her earliest years when she scribbled on the prescription pads of her doctor father Margarete manifested a desire to make art in a single minded and devoted manner. 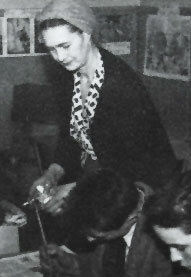 Margarete (or Gretl) Hamerschlag, as she was then, studied at Professor Cizek’s groundbreaking school for children in Vienna and then at the Kunstgewerbeschule (Arts & Crafts School) in Vienna. From there she embarked on a whirlwind international career as illustrator, portrait painter, landscape artist, as well as fashion design and costume design for the theatre. She started teaching in Youth Clubs in about 1950 to make money but this activity gradually came to dominate her life and it was in this period in which she was able to combine the several facets of her artistic skills. Her educational impulses resulted in the book Journey into a Fog, an account of her years teaching, a very considerable success in its day. 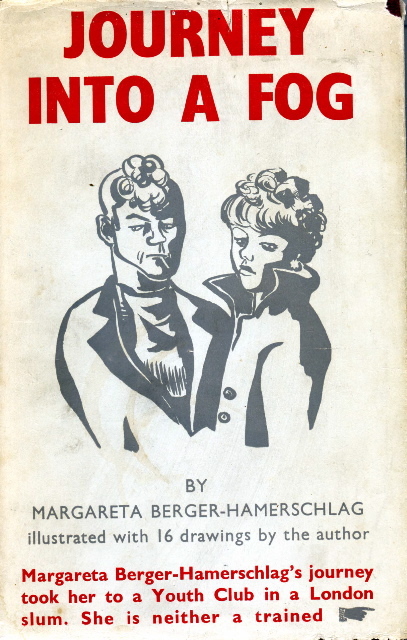 It ran to many editions, published in the USA, and even appeared in a paperback version. She was not long to enjoy her success though, as cancer claimed her in 1958. In more recent times her work has been exhibited at various locations, including the Tavistock centre in London and there are examples of her work in the Belvedere Gallery in Vienna, the Applied Arts Museum in Vienna ,as well as the Victoria & Albert Museum in London. Her most recent London exhibition was at the Austrian Cultural Forum, Kensington.